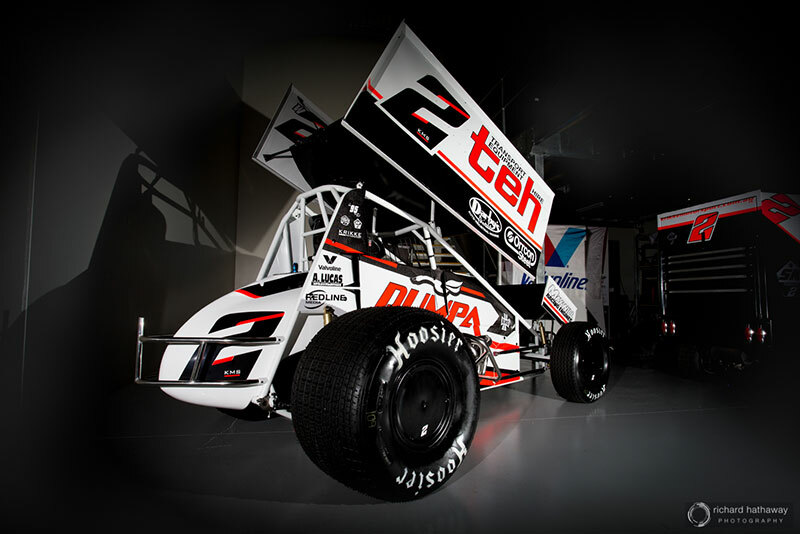 Having already contested nine race meetings this season behind the wheel of his own car, which have seen him collect multiple feature-race victories, including the Col Beasley Classic and Jackpot Invitational, and numerous podium finishers, Veal is content with his recent form ahead of this Saturday night’s debut aboard the WA # 2 Transport Equipment Hire (TEH) supported Maxim. 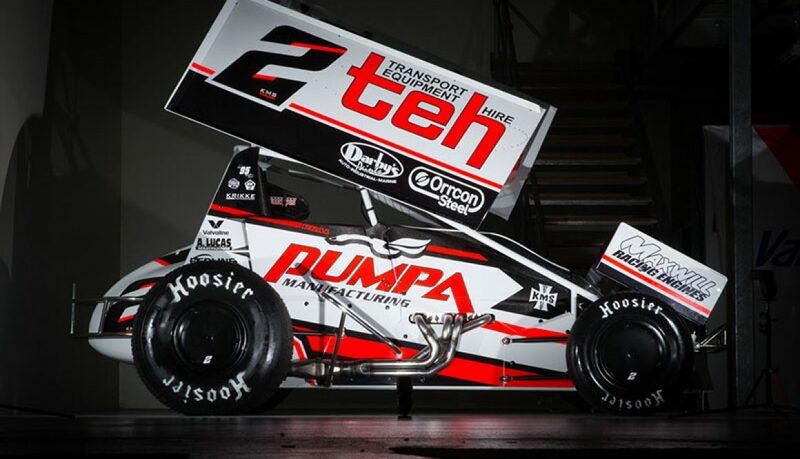 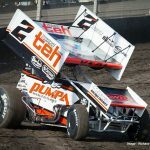 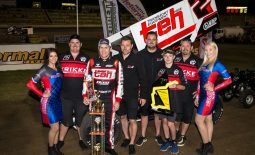 “I’m looking forward to finally making my debut with Krikke Motorsport, having joined the team quite some time ago during the off season,” expressed Veal, who has previously worked with Krikke Motorsport crew chief Dylan Buswell and who will be completing the majority of the 410 Sprintcar calendar with the team, excluding a small number of selected shows in his own car. 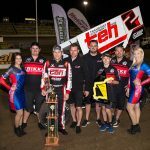 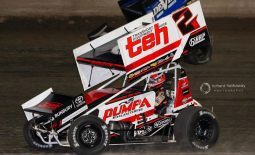 “Being familiar with Dylan (Buswell), as well as the Maxim chassis, nothing should feel too different when we take to the track on Saturday night. 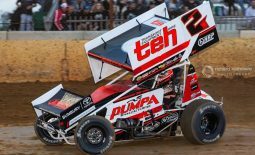 We’ll be having a practice hit out prior to the Western Australian Title, so it will be good to get in the car and make sure that everything’s working as it should be to build up some confidence. 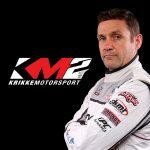 Krikke Motorsport team manager Ryan Krikke is equally as excited to get the 2017-18 season underway, with the addition of Veal being a much-hyped development for the team. 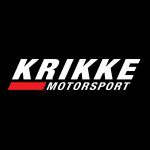 “A lot of work has gone into this season and we’ve made a number of changes in preparation for it, including a new livery and a new driver in Jamie, so we’re looking forward to a successful season,” said Krikke. 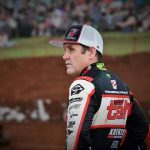 Be sure to tune in to Totally Speedway’s Conversations with Daniel Powell, on tonight at 7.30pm (NSW time) via their Facebook page LIVE, as Daniel Powell chats with Ryan Krikke about the Krikke Motorsport team’s recent changes, as well as their upcoming 2017-18 season. 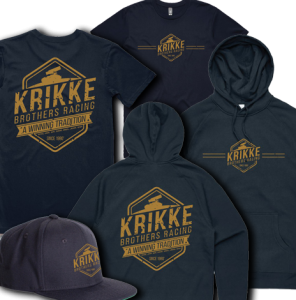 Krikke Motorsport have also launched a brand-new range of 2017-18 season team merchandise, including t-shirts, hoodies and hats, which are available in a range of sizes and can be purchased through the team’s online store via the following link: www.krikkemotorsport.com.au/online-store.